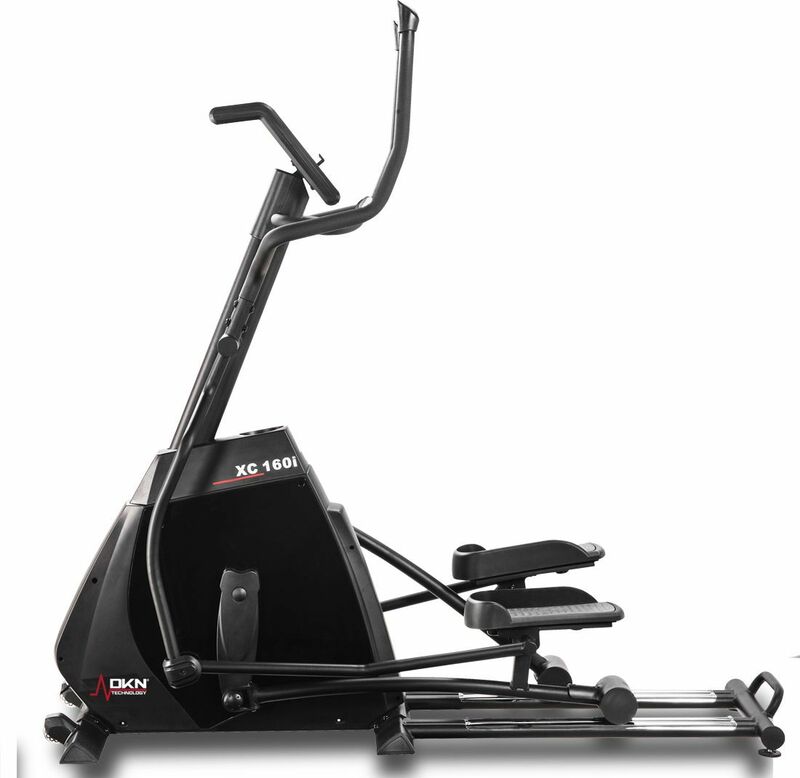 The semi-commercial style XC-160i elliptical cross trainer. 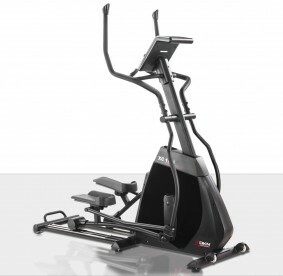 A solid 20 kg flywheel, 54 cm stride length, impact-free motion, 32 magnetic resistance levels and 12 pre-programmed workouts. 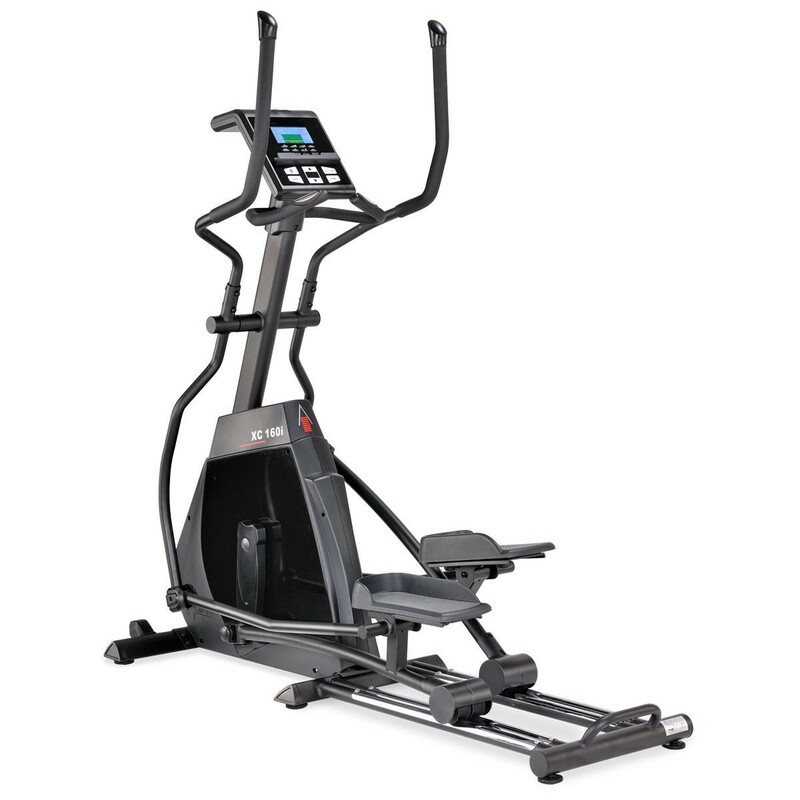 The XC-160i Elliptical Cross Trainer offers a truly exceptional motion, specification and performance for every user type. 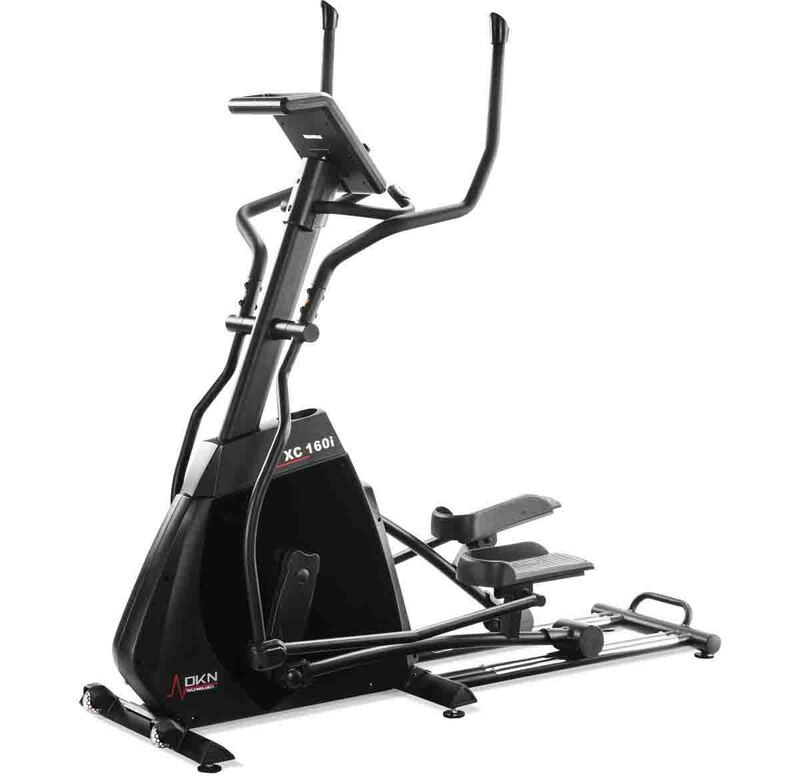 This heavy duty front flywheel cross trainer with pivoting footplates not only offers a large 54 cm stride length with 34 kg of rotating mass, but also offers the ability for 4 separate users to store their information and get precise readings and workouts suited to their own data. 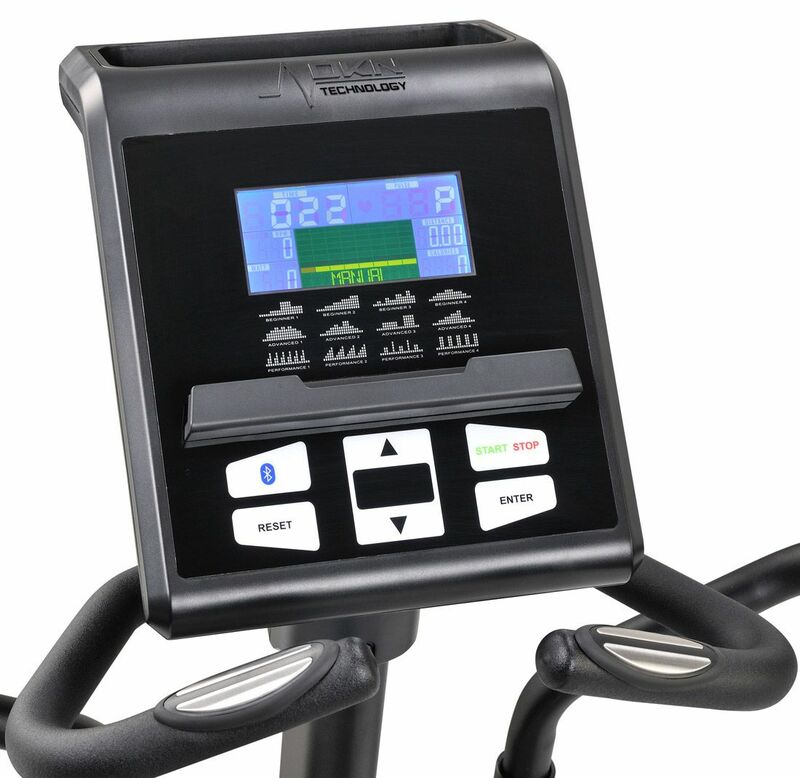 This Elliptical is designed for serious users, multiple users or individuals who want the best in home fitness equipment. This is one of the better commercial grade models for residential use. 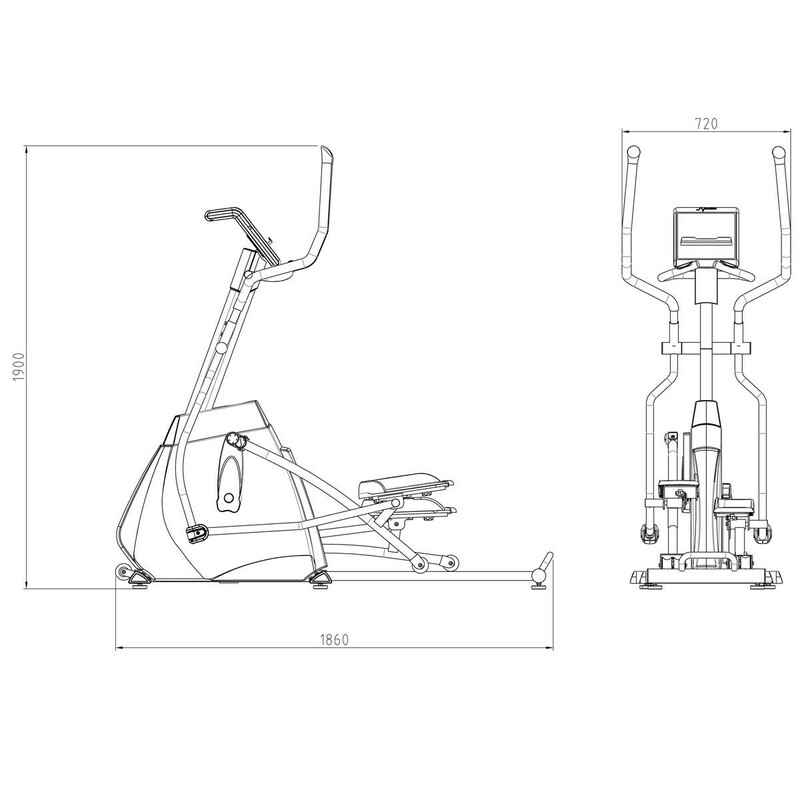 The stride length of 51 cm is best suited for individuals that may be as tall as 205 cm, and is equipped with articulating foot pedals, the pedals angle with the elliptical stride to limit heal lifting. 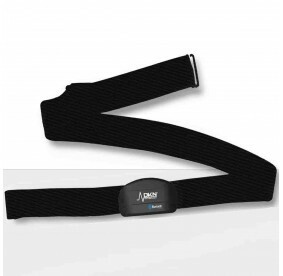 This reduces stress and strain to your ankle and foot. 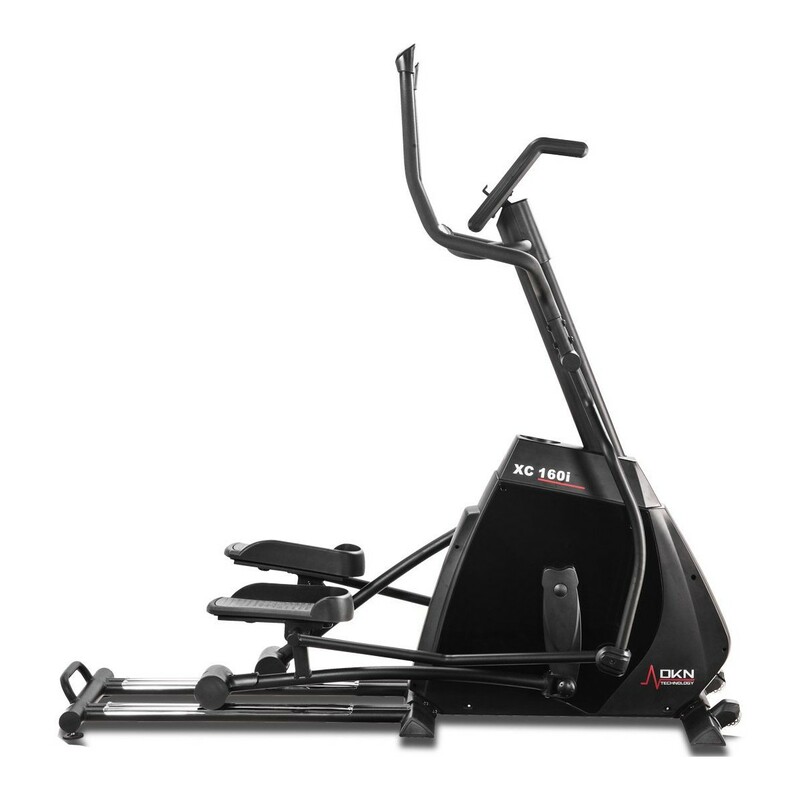 The DKN XC-160i provides an automatically controlled resistance range of 10 to 400 Watts adjustable in 5 Watt interval steps, and means you can get a far more precise workout, and offers a wide range of intensities for all users. 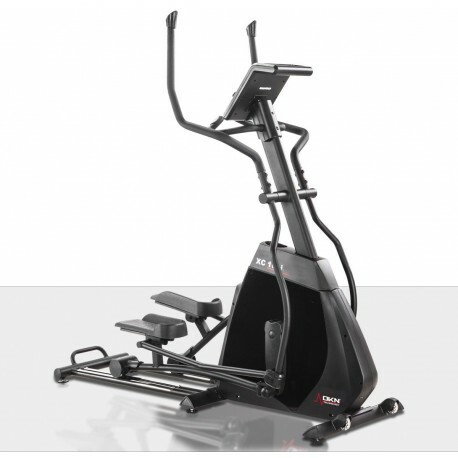 The single panel design is designed for easy access operation, allowing the user to operate every machine intuitively. 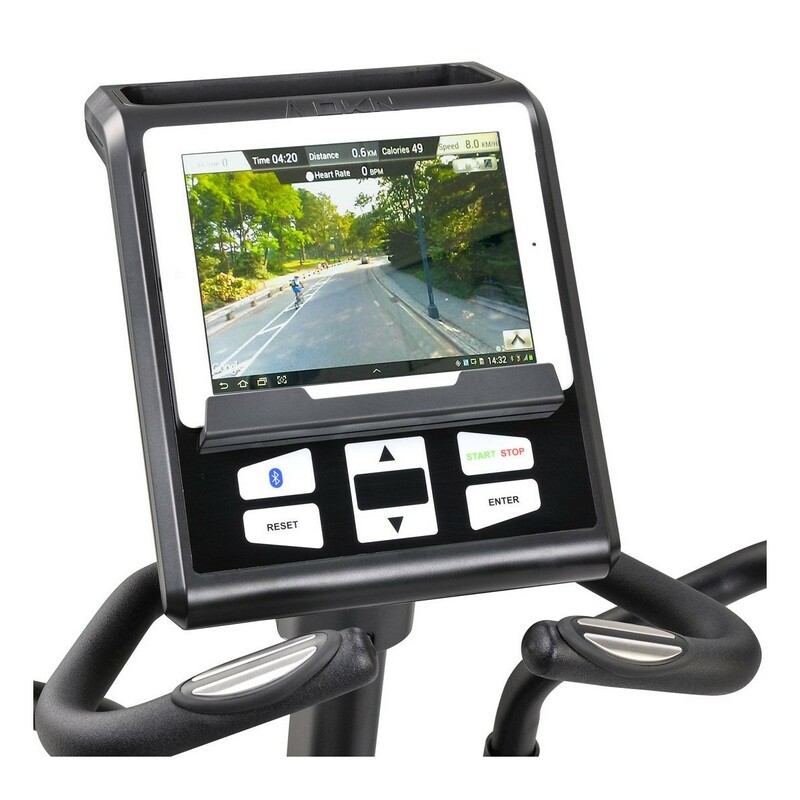 Personal-Coaching: a multifunctional color LCD, monitoring all functions simultaneously : RPM, timer, distance, calorie burn, watt and heart rate. 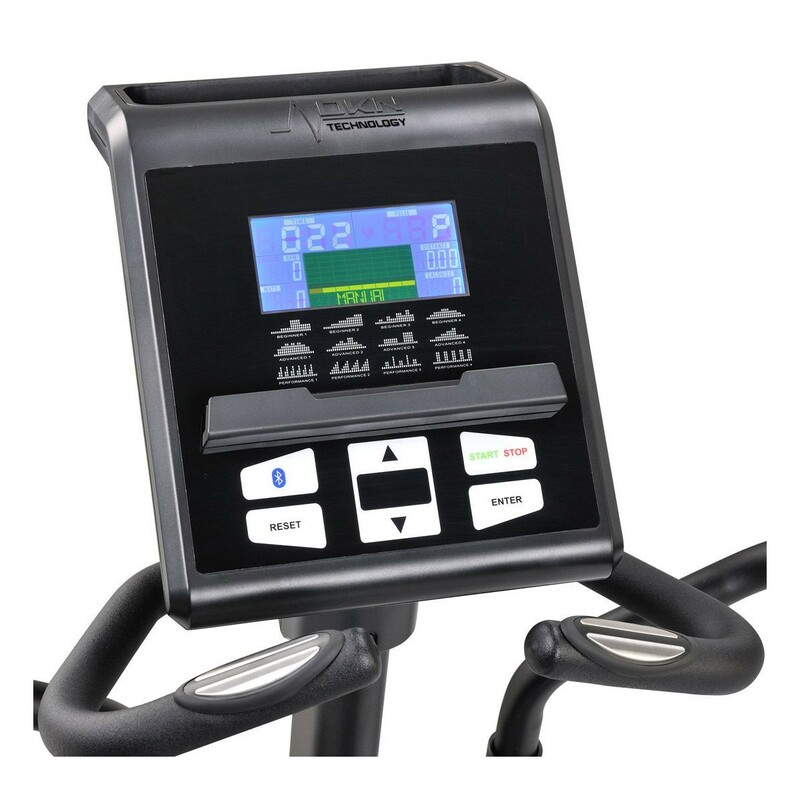 Programmable up to 32 levels and 20 time-intervals, 12 preprogrammed courses, HRC setting and a manual tension control, adjustable in 5-Watt interval steps. 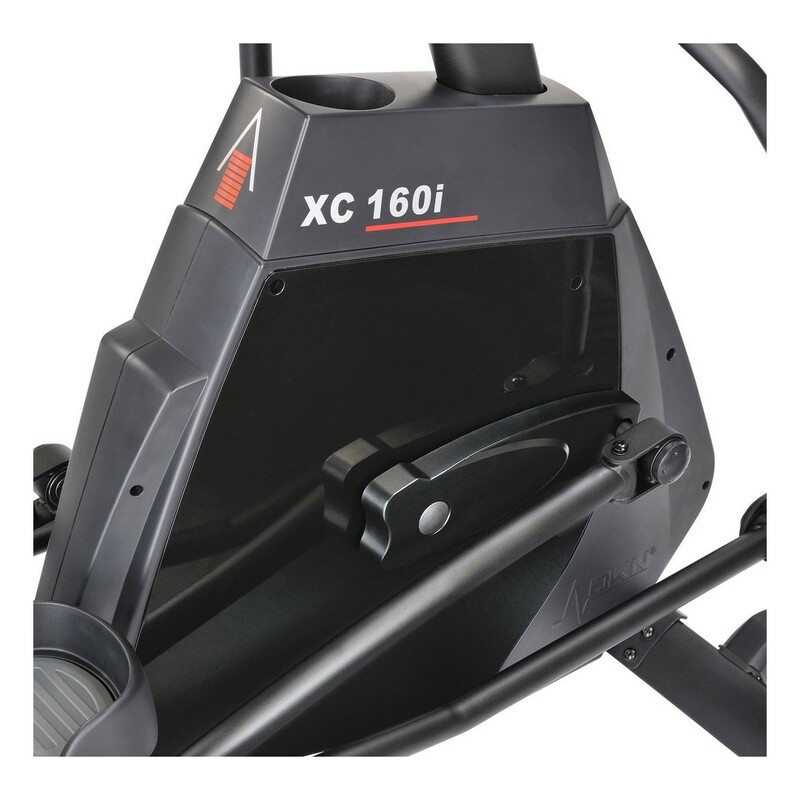 The XC-160i is designed to offer the performance and durability of a semi commercial machine: this premium cross trainer with heavy duty 20 kg fly wheel gives you a great workout every time. 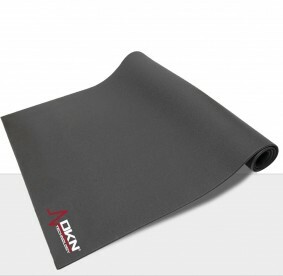 Build on an extended frame, it allows an ergonomic stride length of 51 cm. Pivoting foot supports allow your feet to change angles while you work out and maintain contact, ensuring the correct support. The high endurance sealed bearings and Teflon housings give this front disc strider a uniquely smooth movement and a very silent operating system. 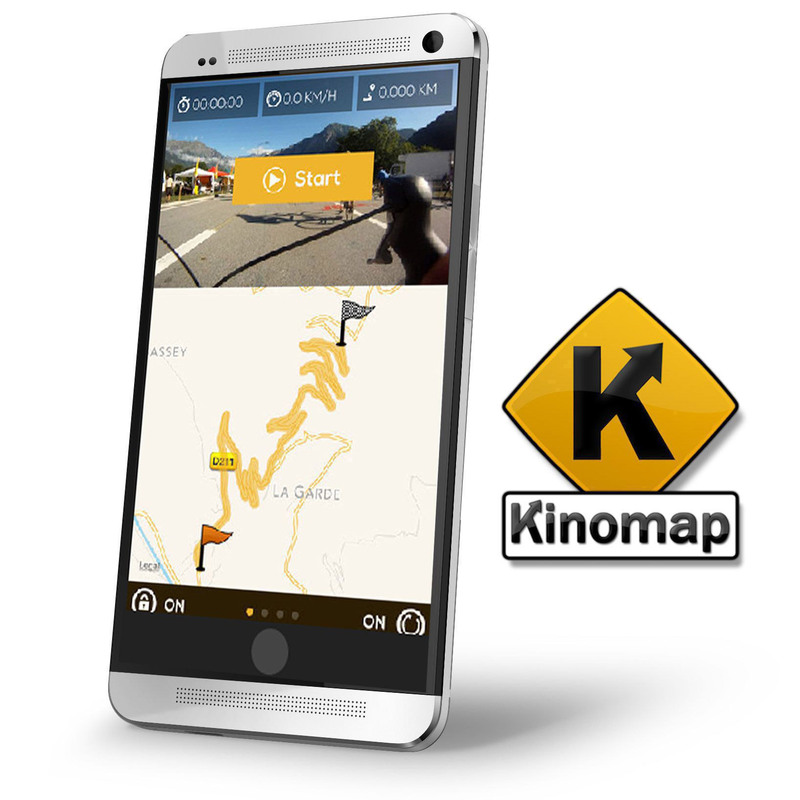 The Kinomap app uses Google Map© data and gives you access to any spot in the world in the comfort of your home. Simply select or create a route, press start and follow the map at your own pace! You can save the key stats after each exercise session into your iLog, and share sessions on social media. Or download BitGym, and use your smartphone's cam to track yourself on life routes.